When a new version of Android comes out, it’s usually a big deal. There are new features, a bunch of design changes, and sometimes new phones to go along with it. But when a new version of Android launched on six new phones this week, it didn’t seem like a big deal at all, and it was quickly overshadowed by announcements like the Galaxy S9. That’s because those six phones are largely under $100, and it’s because that version of Android isn’t designed for the kind of flashy new phones that grab headlines. Android Go — which Google would like us to refer to as “Android Oreo (Go Edition),” which is not going to happen — is a stripped-down version of Android meant to run on inexpensive, low-end devices: devices without much processing power, with limited amounts of RAM, and with a small amount of storage. It’s also meant for people with limited internet connectivity and expensive data plans that need to be carefully conserved. All of these have the potential to be a really big deal, but in practice, the difference is more tangible with some than with others. The first item on that list — “make Android run better” — is the most exciting, but it’s arguably the least noticeable. I’ve played with all six new Android phones over the past few days, and they run relatively well, without any meaningful hiccups or particularly choppy animations. But they also run as well as just about any cheap new phone that’s come right out of the box. I’m not sure how much better off they’ll be one year from now, and that’s what’s going to matter. For the time being, there are two differences in Android Go that are both noticeable and meaningful. The first is Google’s focus on taking up less space. By cutting down the amount of space that Android and its default apps take up, it’s whittled down the install size to a little over 3GB — a savings of at least a couple gigabytes. That’s a huge deal for phones that have only 8GB of storage to start with. The other difference is how those apps help users manage their storage and data use. There’s an app called File Go that gives suggestions on files to remove and offload to the cloud. And there’s another app, found only on some phones, called Datally, that helps users manage how much data their apps are using. Lastly, there’s YouTube Go, which presents three quality options when you go to stream a video (basic, standard, and high) and tells you how much data each will take up, which is hugely helpful. Google has also added a special section of the Play Store that highlights apps that don’t take up much room. The effort doesn’t go all that far (it’s really just limited to a single scrolling bar of apps), but it’s something. 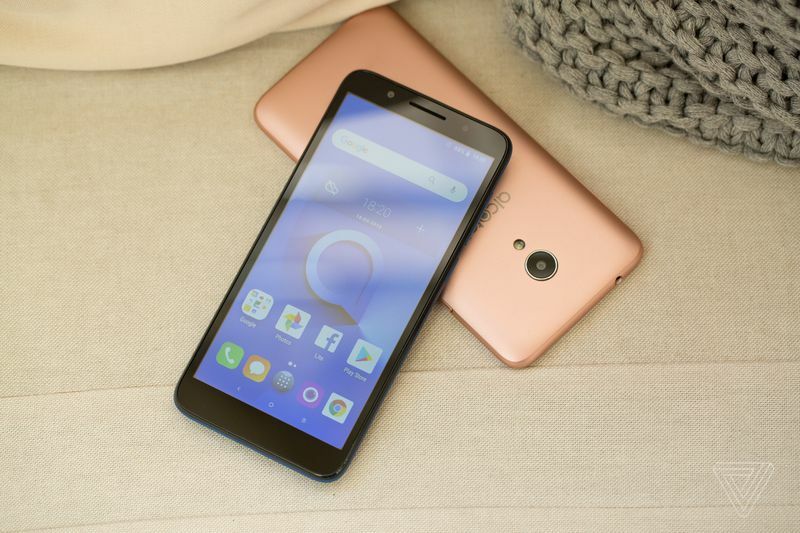 The Alcatel 1X was the first Android Go phone announced. So much of the Go experience will come down to whether users take advantage of the tools Google provides them. If they replace the YouTube Go and Gmail Go apps with regular YouTube and Gmail, the data and space savings are gone. So it’s critical that Google makes these experiences as good, if not better for these types of phones, than the standard apps. The company largely seems to have done that. There’s no material difference between Gmail Go and Gmail. YouTube Go is actively more helpful. And the Google Go app has a totally different design, which offers quick access to features like translations and image search for people who might not know to look for them. It also has a GIFs section, which provides quick access to the “good morning” GIFs that have grown popular in India. Android Go is largely meant to improve the experience consumers have when they pick up their first smartphones in markets like India and parts of Africa — though Go phones will be found everywhere, including in the US. If Google wants to lure people away from feature phones and into the company’s ecosystem, it needs to make sure Android is good enough at the $50 or so price point. There’s no guarantee Android Go is going to work, though. This isn’t even Google’s first shot at addressing low-end phone performance. A few years ago, Google introduced a program called Android One, which was meant to help manufacturers develop inexpensive phones that ran Android well. But manufacturers didn’t seem to like it, and the initiative largely died out. It’s since been reinvented as a stock Android program, which sounds great but is far from the initial goal. 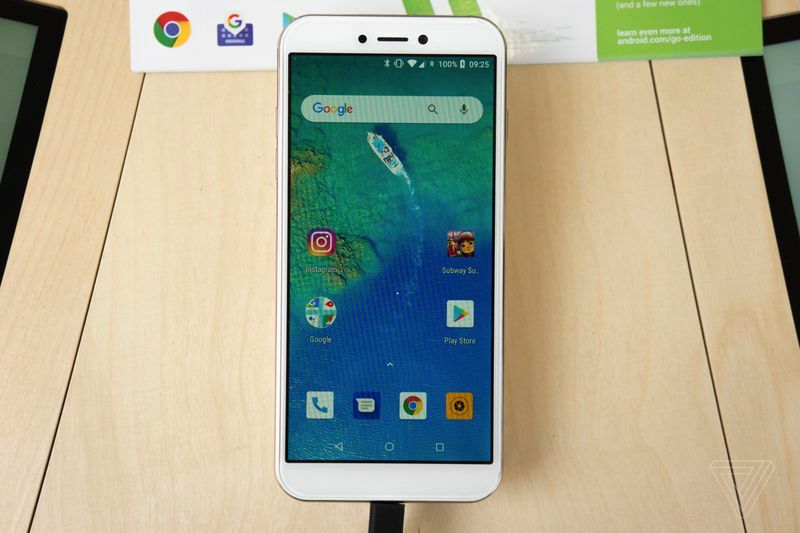 Android One initially tried to tackle the low-end performance problem by helping manufacturers pick out good hardware to run Android. But Google seems to have realized that hardware manufacturers are fine at picking out hardware, and Google as a software company should tackle this problem from its own end. And that’s Android Go: Google’s attempt to solve this problem through software. General Mobile’s GM 8 Go is the nicest (and most expensive) of the Android Go phones. Go is launching on six phones, with prices ranging from around $50 with carrier subsidies to around $130 outright. They include the Nokia 1, Alcatel’s 1X, ZTE’s Tempo Go, Lava’s Z50, Micromax’s Bharat Go, and General Mobile’s GM 8 Go. The GM 8 Go is by far the nicest, with a bigger and sharper screen than the rest and faster performance, but it’s also supposed to be the most expensive. 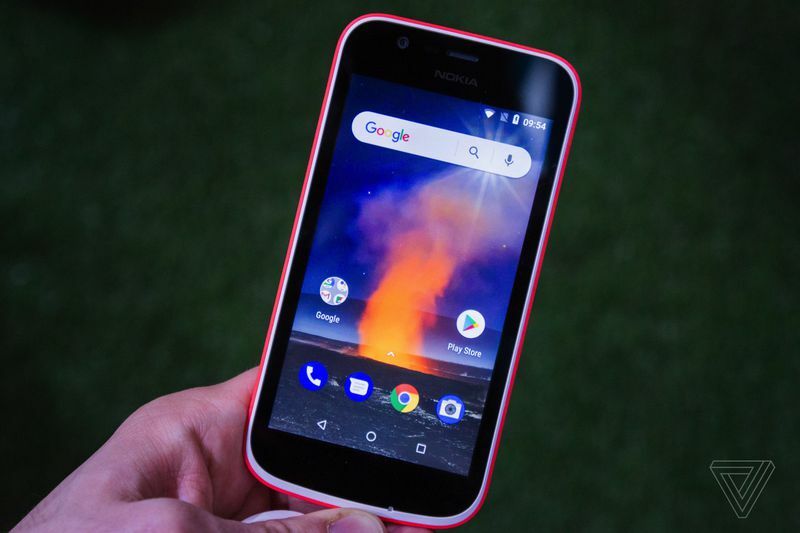 Nokia’s is more representative, with a somewhat dull screen and a passable camera, and will sell for $85. It also has colorful interchangeable back plates, which is nice. Even with Android Go, performance still differs between the phones. Some ran smoother than others, and some even had more free space than others — so much of this is up to manufacturers and how they build the phone. They can still customize the look of the OS, potentially slowing it down. And they can still preinstall extra apps, which can be useful but will also take up more space. Google doesn’t prohibit any of that. Android Go isn’t a silver bullet for all of Android’s low-end problems. It’s clear that Go is just one part of Google’s approach, which also relies on manufacturers not squandering the opportunity and users taking advantage of the new data- and storage-saving tools it’s built. That’s a lot to ask. But even if it doesn’t solve the problem, it seems like the right direction for Google to start tackling the problem. The issues are coming from inside Android, and Go begins to acknowledge that.